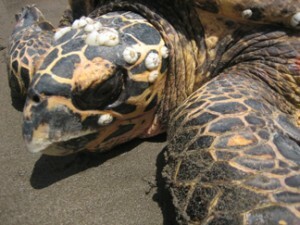 Three species of endangered sea turtles nest and forage in the Estero Padre Ramos Nature Reserve. They dine on the fish, shrimp, anemones, and jellyfish in the salty waters of the Pacific and rely on the sandy beaches to lay their precious eggs between July and November. Eggs hatch and tortugitas scramble for the ocean in November and December. Leatherbacks are the most highly endangered of all the species, with fewer than 2000 nesting females remaining in the entire Pacific Ocean. Sea turtles are threatened from industrial fishing fleets off the coast of Central America in search of tuna, shark and swordfish. These ships directly catch and kill tens of thousands of individuals every year with their hooks and nets. Sea turtle eggs are also a precious commodity in local coastal communities, where locals harvest the eggs illegally for sale and consumption. More than 175 species of migratory and resident bird species inhabit the Estero Padre Ramos Nature Reserve. With rich diversity and abundance of fish and invertebrates present in the estuary, it’s no wonder that birds travel from as far away as Alaska, Canada, and Chile to feed and nest in this protected environment.